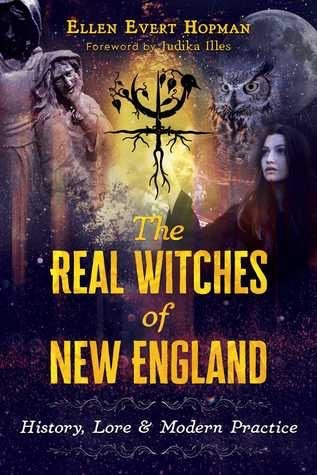 Reveals the origins and history of the New England witch hysteria, its continuing repercussions, and the multilayered practices of today’s modern witches • Shares the stories of 13 accused witches from the New England colonies through interviews with their living descendants • Explores the positive role witches played in rural communities until the dawn of the industrial age, despite ongoing persecution • Includes in-depth interviews with 25 modern witchcraft practitioners, interwoven with practical information on the sacred calendar, herb lore, spells, and magical practices New England has long been associated with witches. And while the Salem witch trials happened long ago, the prejudices and fears engendered by the witchcraft hysteria still live on in our culture. What forces were at work that brought the witch hysteria quickly from Europe to the new American colony, a place of religious freedom--and what caused these prejudices to linger centuries after the fact? Weaving together history, sacred lore, modern practice, and the voices of today’s witches, Ellen Evert Hopman offers a new, deeper perspective on American witchcraft and its ancient pagan origins. Beginning with the “witch hysteria” that started in Europe and spread to the New World, Hopman explores the witch hunts, persecutions, mass hysteria, and killings, concluding that between forty and sixty thousand women and men were executed as witches. 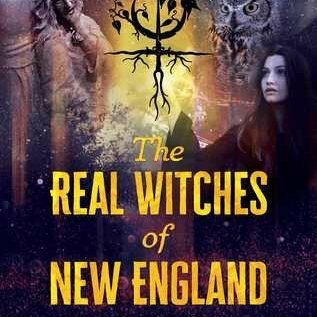 Combining records of known events with moving interviews with their descendants, she shares the stories of 13 New England witches persecuted during the witch trials, including Tituba and Mary Bliss Parsons, the Witch of Northhampton. Despite the number of false accusations during the witch hysteria in the New England colonies, Hopman reveals how there were practicing witches during that time and describes the positive role witches played in rural communities until the dawn of the industrial age. Exploring how the perception and practices of witches has evolved and expanded over the centuries, Hopman also includes in-depth interviews with 25 modern-day practitioners from a variety of pagan faiths, including druids, wiccans, Celtic reconstructionists, and practitioners of the fairy faith. Emerging from their insights is a treasure trove of practical information on the sacred calendar, herb lore, spells, and magical practices. Bringing together past and present, Hopman reveals what it really means to be a “witch,” redefining the label with dignity and spiritual strength.